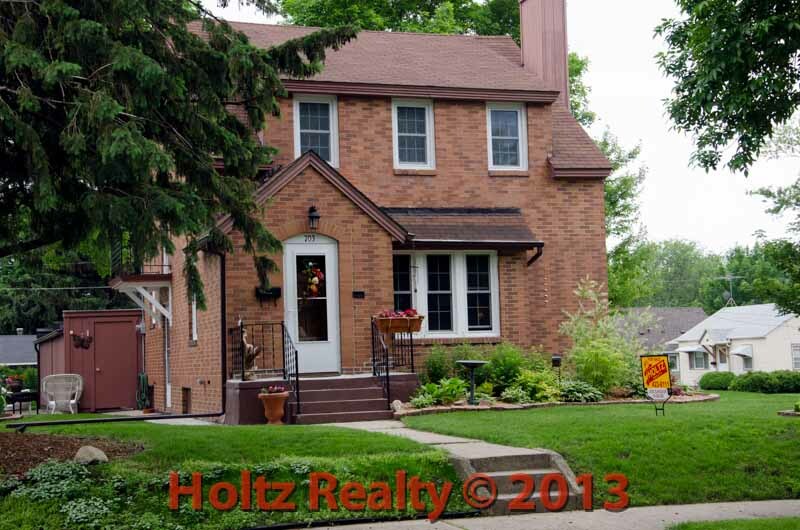 Share the post "703 – 11th St. NE, Mason City IA"
This address is one to indeed remember when searching for that perfect home. When people speak of looking for a place they can just relax and enjoy, I think of this delightfully charming brick home. You can tell it has always been well maintained but the current owner has taken it to the next level. It offers all new tilt-in windows, new floor coverings, new kitchen and bath, gorgeous window coverings as well as mechanical updates. The style is a rarity here in Mason City. It reminds me of something you would see in an expensive older housing district in Northern Europe. The detail in the decorative brick is yet another sign of quality of construction. There is a fireplace in the living room that speaks of years of Christmas stockings stuffed with gifts from Santa. The oak woodwork is of a quality you wouldn’t find in a do-it-yourself store. The basement has a taller than normal ceiling which affords the feeling of it being a lower level rather than the “cave” effect most basements have. The master bedroom is far larger than normal with two closets and an entrance to the third floor attic for the extra storage area which we all wish we had. There is a two car garage with opener, a perennial flower garden that is exquisite, and it’s located at most only 4 blocks from East Park and the swimming pool. Again, being as jaded as I am after the hundreds of homes that I have been in, were I were looking for a place where I would feel “grounded” after a difficult day, this would be the one. Click on the link here and decide for yourself.